New Zealand's most popular adventure destination. 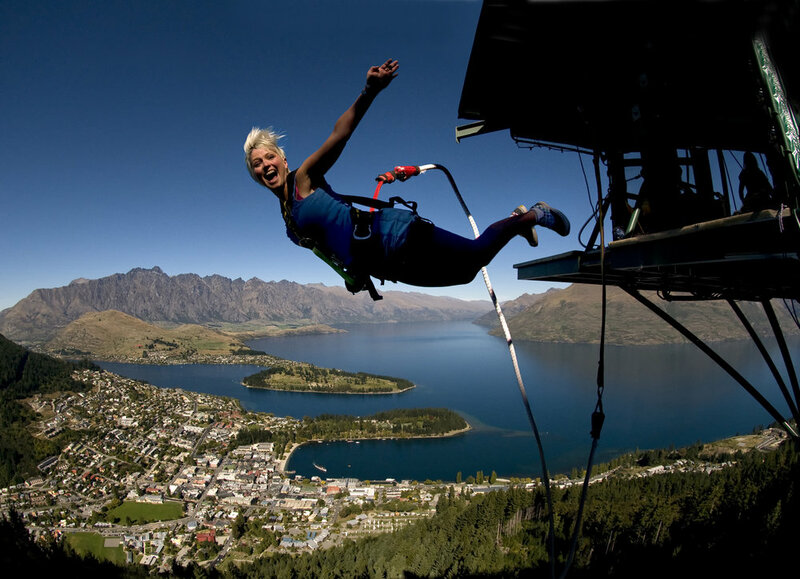 Queenstown is New Zealand’s outdoor adventure capital, an internationally renowned tourism and lifestyle destination. Queenstown sits on the shore of crystal clear Lake Wakatipu among dramatic alpine ranges. With a stunning range of outdoor activities, Queenstown is the home of the ultimate adventure bucket list. There’s skiing and snowboarding in the winter, while activities such as bungy jumping, sky diving, canyon swinging, jet boating, horse trekking and river rafting are all year round. It has also become a renowned cycling destination, providing everything from easy scenic tracks to backcountry trails, road rides to heli-biking and the spectacular Jack's Point mountain biking trails. Queenstown is generally considered to be the “jewel in the crown” of New Zealand tourism destinations. This reputation is a function of the community’s location in the heart of the Southern Alps, and the broad range of year-round activities on offer. While New Zealand as a whole has experienced dramatic growth in tourism, such increased demand has been particularly acute in Queenstown. Tourist guest nights have increased at a compounded annual growth rate (CAGR) of almost nine percent over the past five years. The population of the Queenstown Lakes District is 35,000, providing a baseline of local demand for lodging.